The labor market is constantly evolving, spurred on by new technological demands and changing workforce demographics. In the past, generational differences were more or less negligible, but hiring in the internet age has forced recruiters to pay closer attention to the unique characteristics and core competencies that young workers bring to the table. In 2016, millennials became the largest generation in the labor force, accounting for around 35 percent of all active workforce participants in the U.S., according to the Pew Research Center. This shift in demographics is already reshaping how companies operate, as highlighted by a recent study from the large freelancing website, Upwork. The rise in remote and freelance workers is having a profound effect on traditional business operations. Remote work is quickly becoming the new norm: Rapid advancements in personal computers and mobile devices have opened up new opportunities for remote work across a wide range of industries. Around 69 percent of younger generation managers oversee team members who are allowed to work remotely and are 28 percent more likely to utilize remote workers than their baby boomer counterparts, per Upwork's research. Additionally, the study projected that close to 73 percent of all professional teams will have at least one remote worker by 2028. Reskilling opportunities are increasingly important: Workflow automation and tech integration have increased the demand for new skill development and training opportunities within modern professional environments. However, younger generation managers are nearly three times more likely to hold individual employees responsible for their own reskilling, whereas 9 out of 10 Baby Boomers believe that employers should drive these improvement opportunities. Workforce planning is a top priority: Effective hiring practices seek to identify and address the gaps between a company's present workforce and its future operational needs. Job applicants that are adaptable and willing to learn can bring a lot of value to an organization, which partially accounts for why younger generation managers are three times more likely to prioritize future workforce planning and operational agility, according to Upwork's report. What's more, millennial and Gen Z managers are nearly twice as likely to have made notable progress toward developing a flexible talent acquisition strategy. Freelancers are being utilized at a higher rate: While internal skill development is a chief concern for most young managers, the use of freelance workers is becoming increasingly common. Upwork's study revealed that millennial and Gen Z managers are more than twice as likely to have expanded their use of freelancers in the past few years compared to baby boomers. The report found that productivity gains, specialized skill access and cost efficiencies are the leading drivers of this trend. 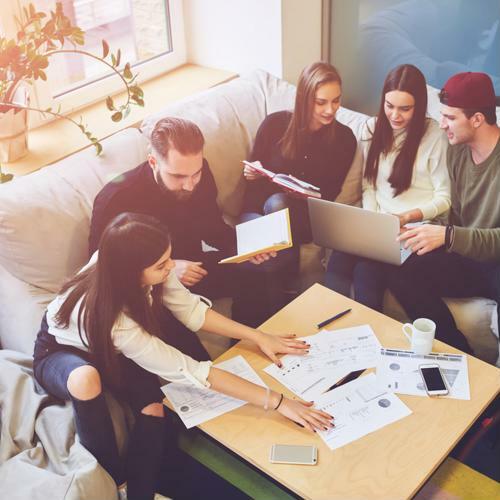 With more millennial and Gen Z workers joining the labor force each day, recruiters have been forced to reevaluate their hiring practices and develop new approaches for attracting the next generation of employees. Young managers have proven to be an indispensable resource for these important tasks — their insight has helped companies embrace operational innovation and lay the groundwork for the occupational landscape for years to come.